International Day of United Nations Peacekeepers is an annual observance held on May 29. 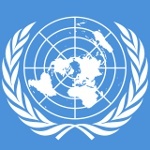 It was established by UN General Assembly in December 2002. UN peacekeepers are men and women involved in peacekeeping operations carried out by the United Nations in order to maintain international peace and security. They are often referred to as Blue Berets because they wear light blue berets or helmets. UN peacekeepers can include military personnel, police officers, and civilians. International Day of UN Peacekeepers was created to pay tribute to people who serve or have served in peacekeeping operations and commemorate those who died during peacekeeping missions. The date of May 29 was chosen because on this day in 1948, the United Nations Truce Supervision Organization was founded for maintaining the ceasefire after the First Arab-Israeli War. On May 29, the Dag Hammarskjöld Medal is awarded at the UN Headquarters. It is a posthumous award given to United Nation peacekeepers who lost their lives while serving in peacekeeping operations. The medal is named after the second Secretary-General of the UN who died in a plane crash during a peacekeeping operation in Southern Africa in 1961.